Find the best multivitamin supplement to fit your goals and lifestyle. Few wellness tasks are as stupefying as shopping for a multivitamin. How do you know you’re not just peeing all your money away? Why do some of them upset our stomach (and which don’t)? And what’s the difference between multi’s for men and multi’s for women, anyway? Plus, with the different vitamin and mineral combos each of these multivitamin brands have, it can feel like you need an advanced degree in nutrition studies just to figure out which capsule to take with your morning OJ. Women’s multivitamins come with the promises making you a healthier, shinier, newer, stronger you… but which supplements are best? 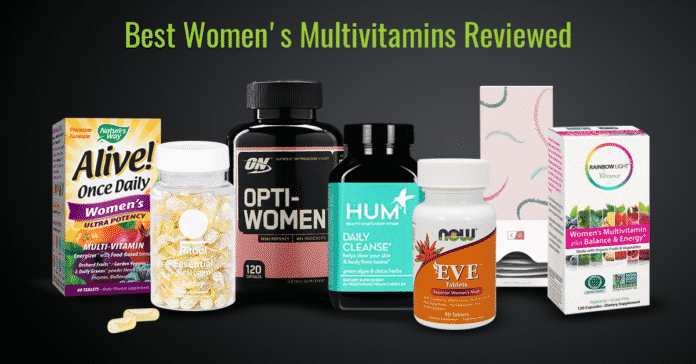 We tried dozens of multivitamins for women from the biggest brands to the newest up and comers, to find out which brands are best based for young women, female athletes, and women over 50. We even narrowed down the list to the best women’s multivitamins in six categories overall. Note: Multivitamins shouldn’t be seen as replacements for a healthy diet or medication. It’s always a good idea to talk to your doctor before beginning a new fitness, nutritional, and/or supplement routine. Individual needs for vitamins and minerals will vary. The list below simply includes our favorite brands and shouldn’t be taken as medical advice. A subscription-based multivitamin with incredibly transparent ingredient sourcing, easy-to-take capsules, and a minty scent. With 20 ingredients, this is packed with nutrients and also seems to benefit gut health. 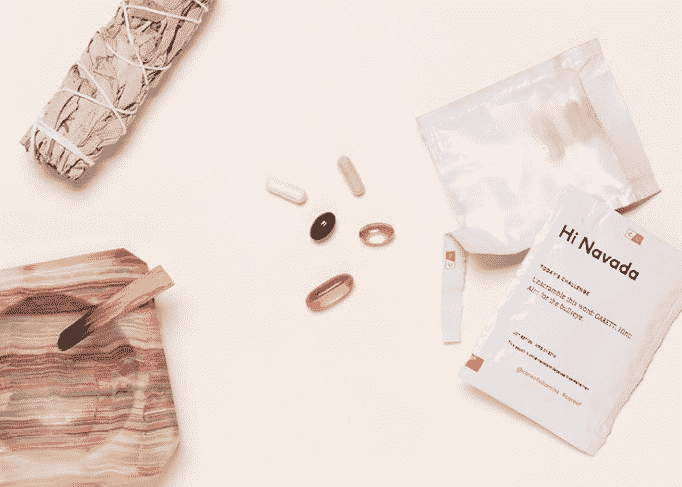 Care/of creates custom multivitamin packs based on a user's response to their online quiz. 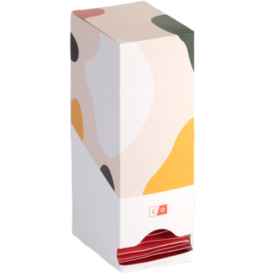 Each pack can include a variety of supplements tailored to the user. With over 40 total ingredients, this multi has a particular focus on performance and recovery for active women. Keep reading for a detailed breakdown as to why we picked each of the winners, along with the runners-up in each category. Ritual Essential was the favorite user experience. When you unscrew the cap the first time, you’ll immediately notice that the vitamins doesn’t smell the way you might expect a vitamin containing omega-3 to smell: like fish. Instead, the the vitamins smell and taste like mint. Each bottle contains a food-grade insert infused with pure peppermint to keep your vitamins smelling minty fresh. That means that even though they contain a heart-helping ingredients (algal oil) which usually has an oceanic aroma, the vitamins don’t smell like seaweed. Plus, we don’t hate that it gets delivered right to our door every 30 days. The only downside is that take two pills, as opposed to one. 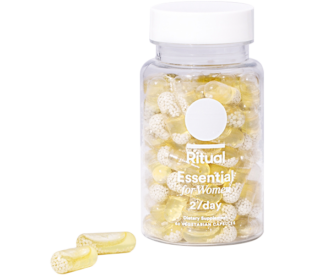 Check out our review of Ritual Essential! 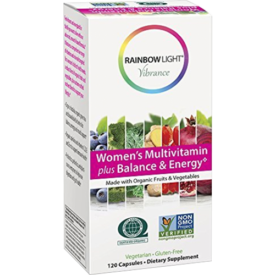 Rainbow Light Vibrance Women’s Multivitamin was our number one pick for women over 50. 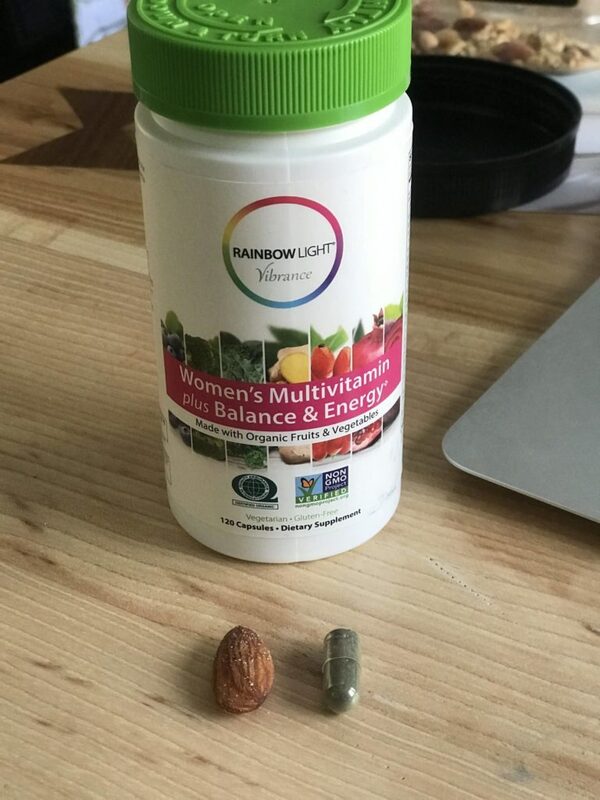 Rainbow Light Vibrance offers two types of multivitamins: energy & balance, or stress relief. We think this certified organic supplement is good for women over the age of 50 because of it packs in vitamins and minerals that may support estrogen metabolism, promote steady energy, and help bolster the immune system. Plus, the formula includes 25 million CFU of probiotics, plus prebiotics, and a full spectrum of plant-sourced digestive enzymes, so it could be especially beneficial for women with gut health issues. Care/of was our overall favorite multivitamin for women 18-34. Answer a few questions about your goals, lifestyle, and values, and get setup with a pack of vitamins, minerals, herbs, and probiotics. Care/of’s aim is to simplify the process of getting your daily nutritional needs and make it more affordable (and easier) than the bottles you’d pick at your local drug store. Monthly subscriptions start at $20 and go up depending on your particular blend- to keep the cost down, we recommend staying away from the speciality blends and herbs which add up quickly. Bonus, if you’re looking to become pregnant, pregnant, or nursing they also offer a prenatal regime that’s specifically designed to be soft on the stomach. Ritual Essential is the brand that we found most transparent about their ingredients. 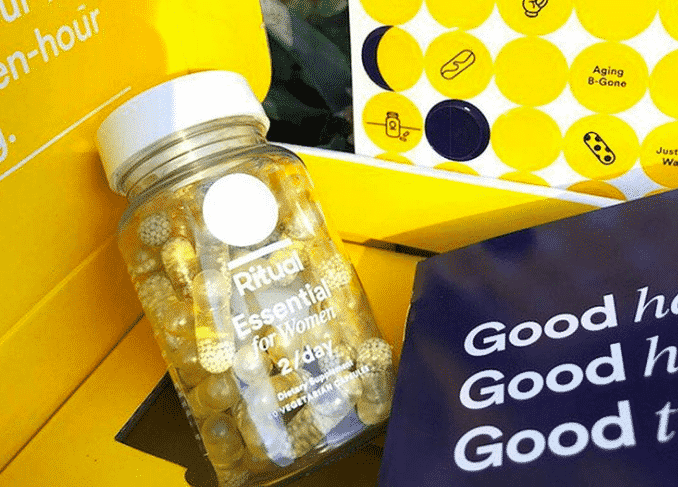 According to Ritual’s research, most women are lacking in nine specific nutrients, but they wanted to deliver those nutrients in a single pill. The resulting pill is a lineup of vitamins K2, D3, B12, and E, plus boron, iron, magnesium, folate, and omega-3. 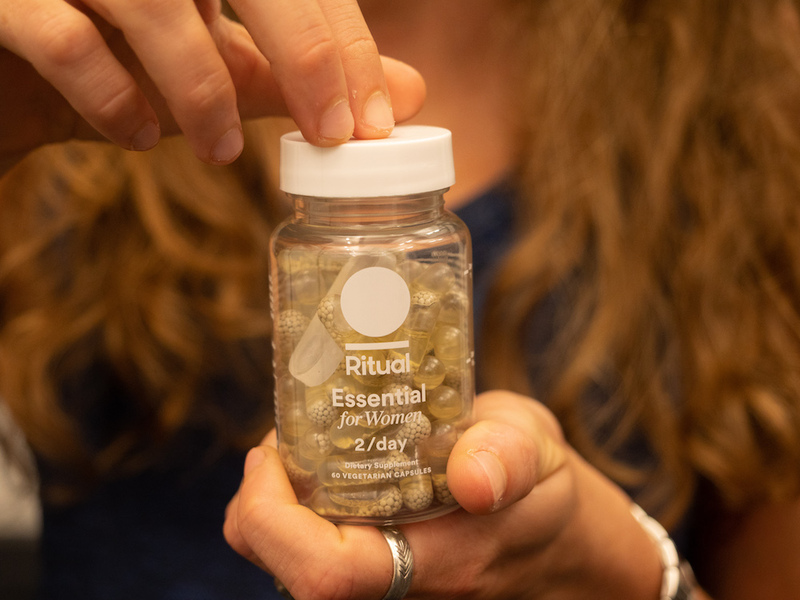 On their website, Ritual provides where in the world each of the 9 ingredient is from, an explanation of ‘why’ the ingredient is essential, and the research that explains why each ingredient is in the form it’s in. So not only is the brand transparent about what’s in the tablets, for every ingredient there is a convincing why. 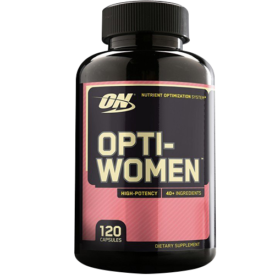 Optimum Nutrition OptiWomen was our top pick for athletes. 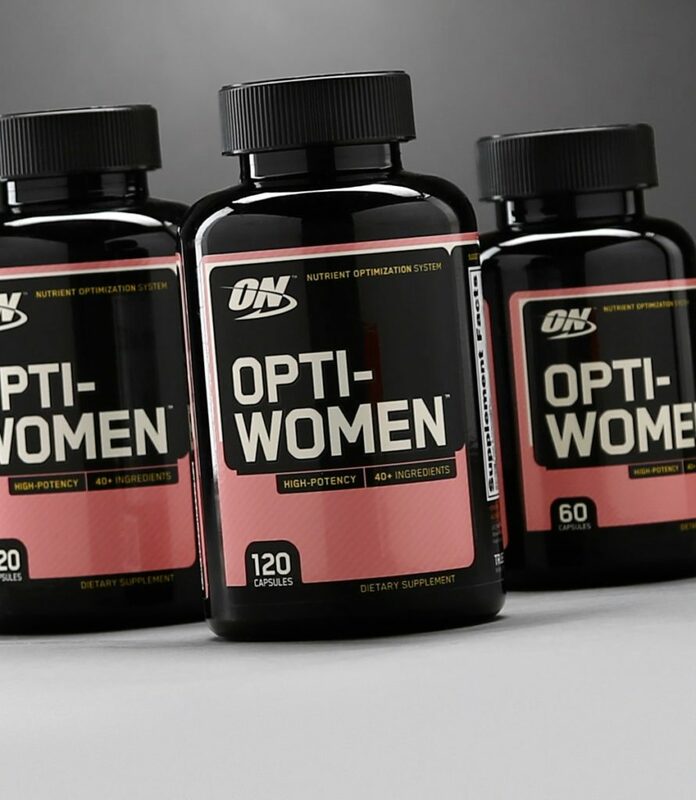 Optimum Nutrition developed Opti-Women to specifically to meet the unique needs of active women who want the best for their health and body. With over 40 active ingredients (that’s a lot!) 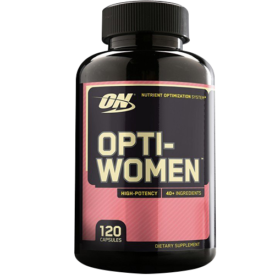 including botanicals, antioxidants, minerals, and gender-specific herbs, Opti-Women is a high-potency supplement that goes beyond the scope of your everyday multivitamin. The biggest drawback is that many of the botanical and herbs in the pill (like garcinia cambogia extract, butchers broom powder, and grape seed extract) are not particularly well-researched, so there’s no saying if they’re actually doing anything or not. Oh, and because your body can’t absorb that many vitamins all at once, it may turn your pee bright yellow. Many multivitamins come in his & her varieties while others are sourced and made specifically for women, and a third category of supplements for women creates for-you-specifically vitamin packets that get delivered right to your door. While different companies take a different approach to gender-specific nutrition, many multi’s-for-her place an emphasis on ingredients like biotin, collagen, and copper that may help hair and nail health, a common concern among women. You can also expect to find more iron, vitamins C, E, and K, as well as calcium and magnesium in multis made for women. Zinc: Take a look at your nail? Discolored? Split? It could be a sign of zinc deficiency, according to research in the Journal of Drugs & Dermatology. (3)(4) Zinc plays a crucial role in healthy cell division, and because our nails grow so quickly, signs of deficiency make themselves known on your nails quicker than other areas. It may also help with protein synthesis, which means it may help athletes recovery faster. Vitamin B Complex: Think of B complex like like a factory made up of 11 incredibly diligent workers who ban together to create and sustain the bodies energy supply by breaking down the micronutrients we consume (fats, proteins, carbs). So while there are many different kinds of B vitamins (thiamin (B1), riboflavin, niacin, pantothenic acid, biotin, vitamin B6 (pyridoxine), folate (called folic acid when included in supplements), vitamin B12 (cyanocobalamin or methylcobalamin), they work together in your bodies operations. If you follow a gluten free, vegan, or vegetarian diet you may be missing some B’s. Vitamin C: Also known as Ascorbic Acid, this vitamin is best known for boosting the immune system (though despite popular belief, mega-doses probably won’t protect you against the common cold and other diseases). (7) But it also helps in the production of collagen and wound healing. (8) Because our bodies cannot store Vitamin C, we need to get it either through food or supplementation regularly. Vitamin D: Vitamin D is involved in many bodily processes, including building proteins and enzymes, boosting the immune system, and fighting inflammation. It’s also good for bone health, which is why we look out for it in supplements in the 50+ crowd. Because it’s tricky to get the right amount from food, most people have to get the rest of your daily needs through sun exposure and supplementation. Vitamin E: Vitamin E is an antioxidant that may help prevent damage to the body’s cells. Which is why it is essential for functional and structural maintenance of cardiac, skeletal and smooth muscle. Iron: Some of the benefits of iron include increased energy, better brain function, and healthy red blood cells. Magnesium: Magnesium is important for many processes in the body such as regulating muscle and nerve function, blood sugar levels, and blood pressure and making protein, bone, and even DNA. Calcium: Vegans in particular should be on the lookout for this ingredient in their multi’s because they’re not getting it from it’s most common source: dairy. 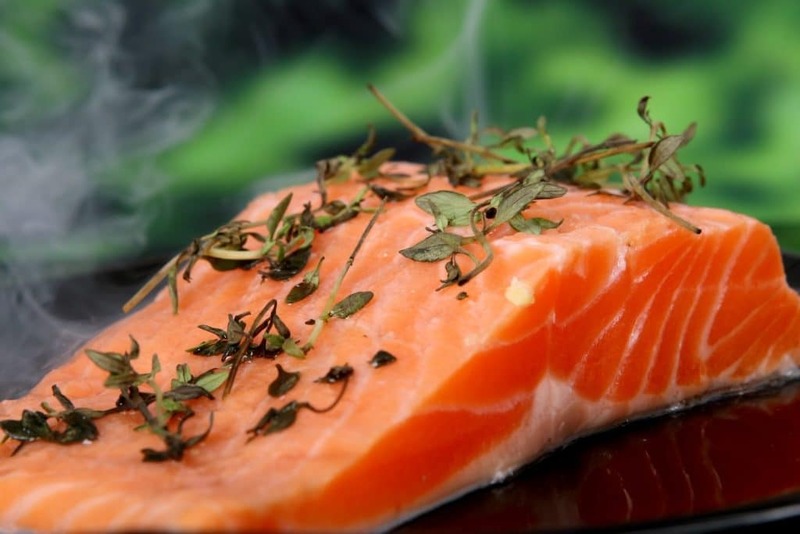 Omega 3: You already try to seek out healthy fatty acids in your food (cue: avocado toast and salmon sushi)—but according to research, more than 70 percent of women don’t get enough omega-3s in their diet. Which is a problem because the may promote a stronger immune system, support cardiovascular, joint and vision health, strengthen skin, hair, and nails, and even enhance nutrient absorption and metabolic function. Boron: Naturally found in prunes, almonds, and raisins, no one wants to drink that much prune juice. That’s why many multi’s include it for bone, heart, and joint health. Coenzyme Q10: We consider CoQ10 a bonus ingredient anytime it shows up in a multi. It’s an antioxidant, which is a substance similar to a vitamin, and is found in every cell of the body. Your body makes CoQ10, and your cells use it to produce energy your body needs for cell growth and maintenance. Because levels of it decrease as we age, some seek supplementation. Alpha-Lipoic Acid: Found in every cell in our body, alpha-lipoic acid is an antioxidant that may help with inflammation. We naturally produce ALA in our body, but like collagen, our levels of it decrease as we age. So whenever we see it in a multivitamin, we’re especially amped for older woman. Probiotics: It all started with yogurt. But now the buzz on probiotics are everywhere. These good bacteria help the body function more efficiently while bad bacteria do the opposite. If there are too many bad bacteria and not enough good bacteria, the balance of our microbiome get’s thrown off. And when our microbiome is off we’re left susceptible to disease-causing organisms and the runs. Probiotic supplements may help keep our gut happy, and they also have some potential health benefits like reduced blood pressure, improved cognitive function, better sleep quality, and weight loss. What Are The Benefits Of A Multivitamin? The question of supplements are confusing are confusing to many people. After all, shouldn’t eating a whole, fresh, unprocessed foods diet provide all the necessary vitamins, minerals, antioxidants and other nutrients we need? The answer is yes and no. Even with a “perfect” diet, many things (like stress, sleep schedule, and even the storage and transportation of food) make it tough for you to get nutrients you need solely from the foods you eat. And some studies do show that incorporating nutritional supplements can improve certain health markers. But the vitamin and minerals you should take and prioritize change with each stage of life. Just remember, whatever your age, a multivitamin can’t make up for a bad diet. We tried dozens of multivitamins to land on this list of the best on the market for you whether you’re a young woman, over the age of 50+, an athlete, or just want to bolster your overall health. We looked at the ingredients, price, taste, and quality for every one of these supplements and while plenty of people have different ideas as to what constitutes a “quality” multivitamin, we think we’ve put together the best darn guide to picking multivitamin on the interwebs. And remember if you suspect that you have a vitamin deficiency, it’s best to talk to your healthcare provider about getting work done to see if you’re low in any particular nutrient. Then from there, you and your doctor can work together to determine what particular foods you should be eating more of, or if a supplement makes sense for you. Oh, and if you don’t go with one of the brands we mentioned above, note this: Vitamins and supplement claims do not have to be approved by the Food and Drug Administration. And the amount of studies done on any particular type of supplement (single vitamin capsules, multivitamin pills, or otherwise) are relatively few. 1. Glynis A. A Double-blind, Placebo-controlled Study Evaluating the Efficacy of an Oral Supplement in Women with Self-perceived Thinning Hair. J Clin Aesthet Dermatol. 2012 Nov;5(11):28-34. 2. Hochman LG, et al. Brittle nails: response to daily biotin supplementation. Cutis. 1993 Apr;51(4):303-5. 3. Scheinfeld N, et al. Vitamins and minerals: their role in nail health and disease. J Drugs Dermatol. 2007 Aug;6(8):782-7. 4. Cashman MW, et al. Nutrition and nail disease. Clin Dermatol. 2010 Jul-Aug;28(4):420-5. Palace VP, et al. Antioxidant potentials of vitamin A and carotenoids and their relevance to heart disease. Free Radic Biol Med. 1999 Mar;26(5-6):746-61. 6. Valentini L, et al. Impact of personalized diet and probiotic supplementation on inflammation, nutritional parameters and intestinal microbiota – The “RISTOMED project”: Randomized controlled trial in healthy older people. Clin Nutr. 2015 Aug;34(4):593-602. 7. Douglas RM, et al. Vitamin C for preventing and treating the common cold. Cochrane Database Syst Rev. 2004 Oct 18;(4):CD000980. 8. Ringsdorf WM Jr, et al. 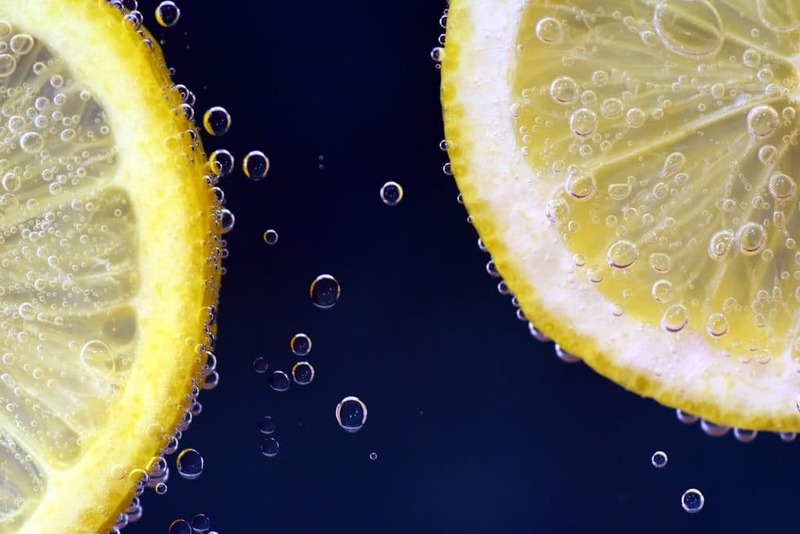 Vitamin C and human wound healing. Oral Surg Oral Med Oral Pathol. 1982 Mar;53(3):231-6. 9. Pearson DA. Bone health and osteoporosis: the role of vitamin K and potential antagonism by anticoagulants. Nutr Clin Pract. 2007 Oct;22(5):517-44. 10. Schunck M, et al. Dietary Supplementation with Specific Collagen Peptides Has a Body Mass Index-Dependent Beneficial Effect on Cellulite Morphology. J Med Food. 2015 Dec;18(12):1340-8.